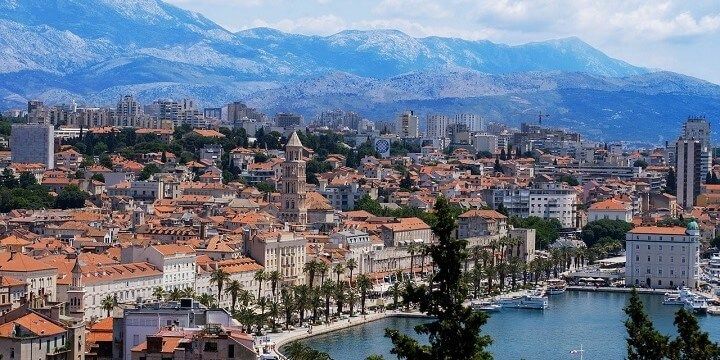 Stretching along the coast, the Dalmatia region — which covers the South and Southeast of Croatia, and extends into parts of Montenegro — is home to a great combination of historic towns and stunning beaches. Although the area has been made popular by Game of Thrones, the region has much more to offer than famous TV scenes! Many of the region’s towns offer fascinating live history lessons. Zadar, for example, has lots of remnants from the Venetian rule, such as its intricate Land Gate, adorned with Zadar’s coat of arms. 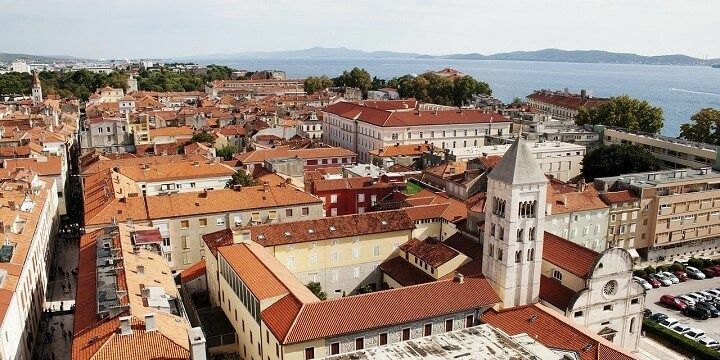 Zadar has lots of remnants from the Venetian rule. Alternatively, check out Sibenik’s huge St. Nicolas’ fortress, which was also constructed by the Venetians in the 1570s. Even older landmarks can be found in Split. Explore the Diocletian Palace, a maze of streets with bars, restaurants, and shops, making it a great spot for a bar crawl. Then, visit the Cathedral of St. Domnius, an octagonal cathedral, with a crypt, treasury, and baptistery. Split features many old landmarks. Travel five kilometers north to find Salona, home to the remnants of an amphitheater, public baths, and Roman city gates. Head further south to explore Dubrovnik’s Old Town, with its historic, 2,000-year-old city walls, and 13th century Franciscan Monastery, featuring stunning cloisters and one of the world’s oldest pharmacies. Looking to add some exoticism to your stay in Dalmatia? 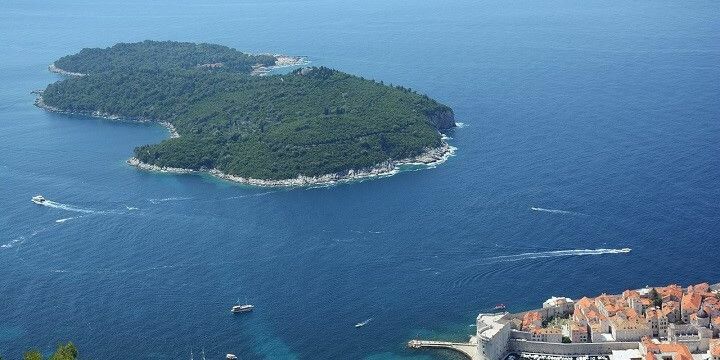 Check out the islands of Brac and Hvar. The former is less than an hour’s ferry ride from the mainland, and hosts excellent beaches, such as the famous shingled Zlatni Beach, which is popular among windsurfers. Paklina Beach is also fantastic, though far less busy, and has shallow waters and secluded rocky coves. Brac Island is less than an hour's ferry ride from Croatia's mainland. Don’t leave Brac without visiting the town of Supetar: stroll around its harbor for a range of restaurants and bars, before visiting the nearby Rasohe Quarry, a Roman quarry with unique rock faces. 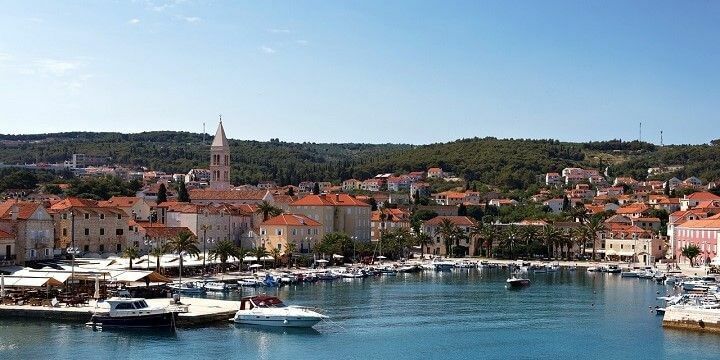 While on Hvar, be sure to visit Stari Grad, the island’s main port and the oldest town in Croatia. Relax on Mekićevica Bay, a beautiful white-stoned beach with clear water, which is popular among nudists, or dive off Hvar’s coast to see a range of colorful sea life and an old English shipwreck. Stari Grad is Hvar's main port and Croatia's oldest town. From Hvar, it’s easy to take a day trip to the nearby Pakleni islands, which are great for swimming, snorkeling, sailing, and exploring secluded coves. You don’t have to leave the mainland for beautiful beaches, as many of Dalmatia’s main cities have stunning sandy stretches of their own. Sibenik’s pebbled Banj Beach, for example, is conveniently located very close to the city center, while Split’s Bacvice Beach, is less than a ten-minute walk from the bus station. 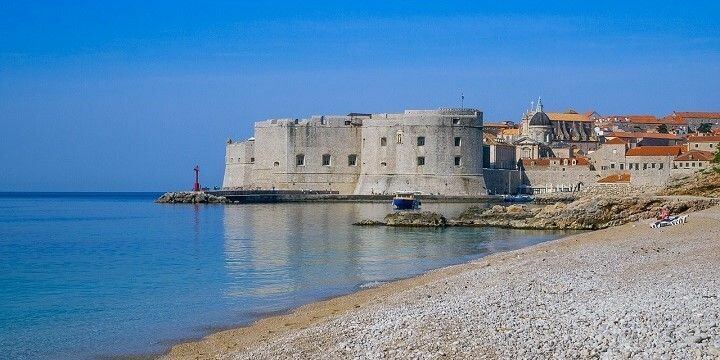 Dubrovnik’s city beach, Banje, is just a stone’s throw from its Old Town, but is quite touristy, so head to Sveti Jakov if you’re after a more tranquil experience. Banje Beach is very close to Dubrovnik's Old Town. Dalmatia has more to offer than old towns and beaches: there’s plenty of natural beauty to be enjoyed, too! If you’re in Sibenik, check out the Medieval Mediterranean Gardens, which surround the former St. Lawrence Monastery. Here, you’ll find beautiful flower displays, as well as open-air events in the summer. Alternatively, drive to the nearby Krka National Park, home to beautiful lagoons, 17 huge waterfalls, and a range of wildlife, including wolves and golden eagles. Lokrum Island is a great day trip from Dubrovnik. If you’re staying in Dubrovnik, take a day trip to Lokrum island to see its incredible pine forest, rocky beaches, botanical gardens, and small salt lake in the South. 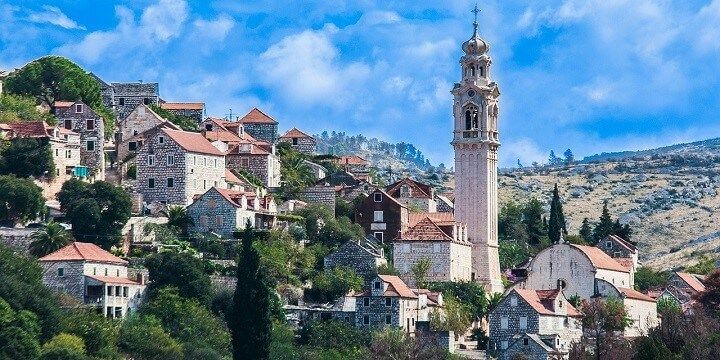 If NextStop24 helped you to choose your next travel destination, we'd be very grateful if you’d search for your accommodation and things to do in the Dalmatia region through these links. They're affiliate links, which means that we will receive a small commission for every booking made through them. There are no extra costs for you; you'll simply be helping to keep NextStop24 running. Thanks! Beautiful little walled city. Crazily clean and great for photos. Two days is enough to see all the sights and spend a small fortune on food (it's not the cheapest!). Locals say that in the tourist season it becomes invaded and unbearably crowded so best to visit it in April/May or Sept/Oct. We went there out of peak season and were able to enjoy empty beaches and the perfect weather to the fullest. there are no sandy beaches, but the sea is very clean and beautiful turquoise. The food and wine is outstanding! Beautiful sea and tasty fish Don‘t go there in the main Season (July/August). Great country with lots of beaches, islands, and quaint towns to discover.